So right here some Instagram photos from when I was in Italy, I have so much to write and show about my trip so that's why my blog is filled up with Italy, I hope you don't mind! I certainly don't, altough school has begun it is so lovely to still wander through your holliday photograhs and re-live them when you think about all that happend. It makes we want to travel again more and more. 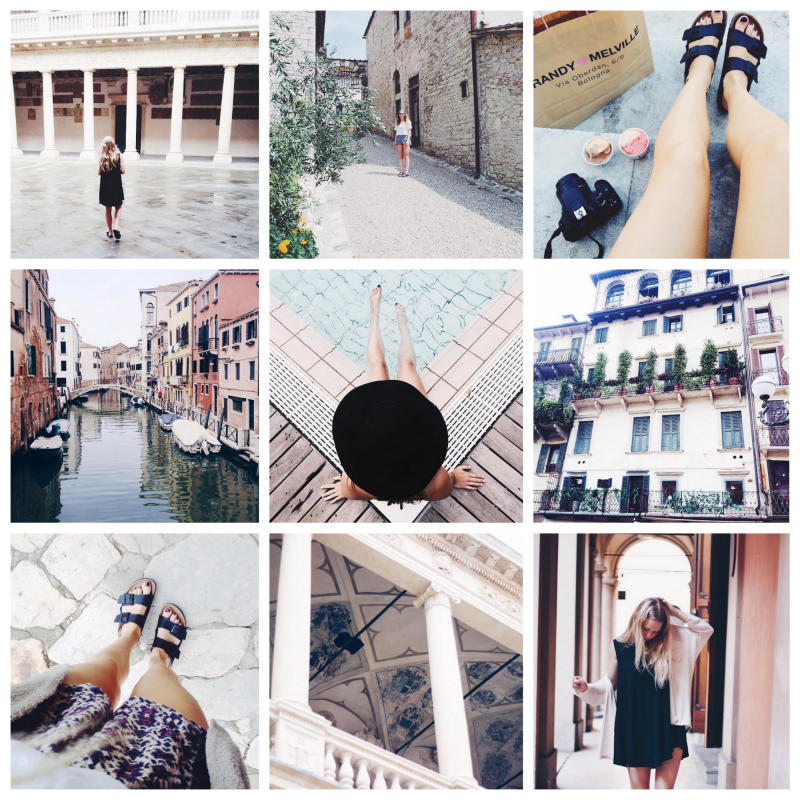 There are a few travel and one more outfit post from Italy coming up. These are some photographs that (most of them) didn't came or are coming along in a travel post. For now it's monday again, my day off and my week begins again tomorrow. There already are some things to do for the study I hope I can startup good! Have you survived your first week? And do you like these photographs? Ik ben zo verliefd op deze foto's, prachtig! Deze zomer ben ik één dagje in Italie geweest en nu al verliefd op dit land. Al die foto's van jouw zijn zo Tumblr. Die van het zwembad en met het Brandy Melville tasje zijn mijn favoriet.